When a government agent from his past shows up wanting a favor, she rekindles a flame they once shared. Ensnared in her scheme, Ramos discovers that there's more to her favor than he realized. Luckily for him, he has a few tricks up his sleeve that might save his skin...but what about his heart? Where does Devil in a Black Suit rank among all the audiobooks you’ve listened to so far? I loved Devil in a Black Suit, it ranks up there in my audiobook library! Will Damron did a wonderful job reading Ramos and the other characters, and I loved getting another perspective on Ramos and Uncle Joey! What was one of the most memorable moments of Devil in a Black Suit? There were a few that stood out to me, but I don't want to spoil anything! I loved getting to see things from Ramos' perspective and especially loved learning about his past and his family (blood related and not). Which character – as performed by Will Damron – was your favorite? Ramos of course! But he did such a good job with each character, and I LOVED all the accents! They were varied and impressive. Devil in a Black Suit is a Shelby spin-off, but she's not in it a ton. However, to me, that makes each mention of her even sweeter. It was a fun journey to take off the beaten path of the Shelby universe and I loved every step of it! A fun refreshing Ramos centered story! I hope Colleen Helme writes more stories about my favorite hit-man!! What made the experience of listening to Devil in a Black Suit the most enjoyable? I have read and now listened to this book. There is no doubt that the audio version brings more life and sense of adventure to this already fantastic book. Yes. When he is talking to his aunt, who he did not know existed. 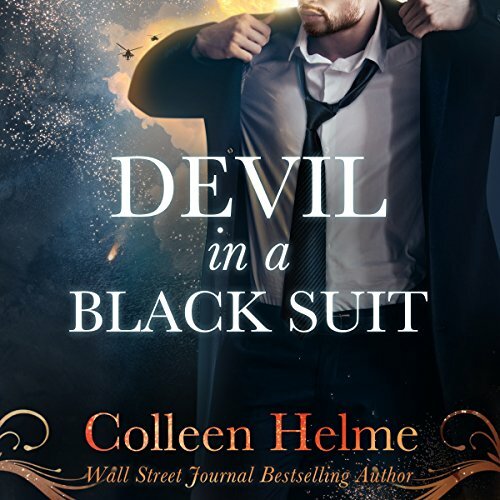 Devil in a Black Suit is, as all the Shelby Nichols adventures, an exciting action-packed story that drives the reader through an intricate road along with Ramos, the "good" bad man whose job is to protect "Uncle Joey's" interests. While Ramos is normally perceived as this strong, focused gunman, in this book you get to know the normal, regular man who needs to connect with his past and get to know what happens to his father. It brings out the kid in Alejandro Ramos and lets us get to know how he views his world. I want my mind reading soccer mom back! I prefer Ramos in a supporting role to Shelby rather than as protagonist. Yes, Shelby does appear in several scenes doing some mind reading for Uncle Joey and Ramos and I suppose that Ramos understanding his family history is interesting. 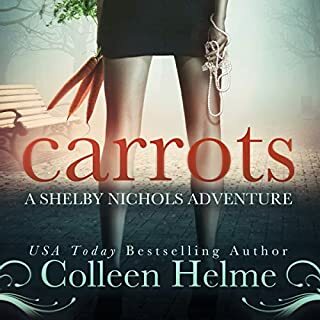 For those unfamiliar with author Colleen Helme and her 10 novel Shelby Nichols Adventures series of humorous cozy mysteries, every novel is a winner. The books can be read in any order provided that Carrots in read first. Soccer mom Shelby Nichols develops the ability to read minds after being shot in the head during a bank robbery she witnessed. 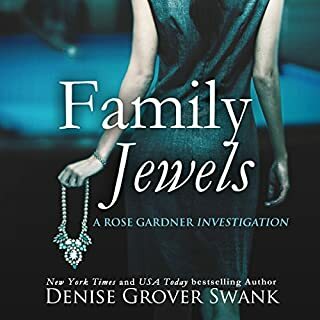 She, her lawyer husband, her daughter, and her son are the key characters until a mob boss she calls Uncle Joey (to irritate him) finds out about her new capability. The right hand man of the gangster is the assassin named Ramos. Shelby and Ramos like each other a lot, but have to strive continuously to barely keep their relationship platonic. Ramos saves Shelby's life repeatedly. 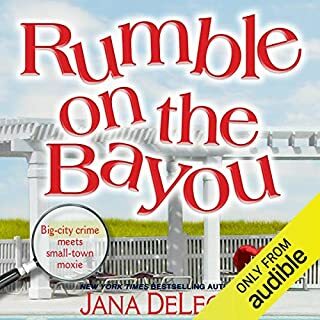 This series along with Jana DeLeon's wonderful Miss Manners series are far and away my favorites of the humorous cozy mystery genre. Both series are fantastic! 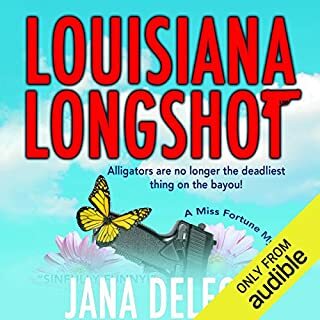 Will Damron is an excellent narrator, but he is not right for this standalone spinoff of the Shelby Nichols series. It was fun twist hearing from a side character's point of view. Most authors stick to a standard formula when writing a book series; however, Helme has an amazing ability to change things up every book & keep the reading guessing. Well, except for knowing that Shelby is in for some trouble. I truly enjoyed this book. Well really the whole series. There is a ton of action throughout the series. Lots of laughs, couldn't stop listening. A definite must listen to book. I guarantee you will enjoy it. Thought I wrote a review for this but must have forgot. I really enjoyed this as I always do with any Book from this series! Colleen Helme is takes us on an adventure into Ramos's personal life. You will enjoy his side trip Cuba, looking for Ramos's history . Will Damron did an great job. We get to see the inside workings of Ramos with Manetto. I think this is awesome! I have wanted to be in the room with them when they chat, and now I am. This story can be read on it's own or with the Shelby Nichols series. I love that the details around Ramos that refer to Shelby fit in the time frame of Shelby's novels, but it's all about Ramos and something he needs to work through. Ramos has a lot on his plate with dealing with Sloan and her plans for a gun dealer, but also making sure Shelby is safe. Ramos and Manetto always seem to have Shelby in mind, for her ability and how it could help or for her safety. Shelby is someone they are willing to watch and protect no matter what is happening. Ramos has to work through his desire for Sloan. It's not something he can kindle with his job and her job. And there's the situations Sloan gets herself into that she asks for Ramos's help with. They are deadly dangerous for him. He knows how he feels, but he can't life with her being so close. It's hard to do what he knows he should, but when Sloan puts him in such deadly situations, he may be able to make a decision. But Sloan is someone he cares about deeply. Ramos doesn't have Shelby's ability to read minds, but he's got his own way of reading people. He's amazing at figuring what they will do and reading people's actions and reactions. Even when he visits the home of his parents. Ramos gets to learn a bit about his family, the father he didn't know particularly. I love Ramos through Shelby's eyes in her books. I loooove Ramos when in his head too. Sure, he and Manetto aren't the "good" guys, but they aren't terrible people either. Ramos is awesome though. What he does, thinks of, and works out on a fly. Yep. He's great. There is one moment that touched my heart. I felt love for Ramos, something he's left behind. It had me tear up for a moment. A happy, good feeling. As always, I had fun with the characters in Colleen's book. I also felt for them. Such a great adventure with Ramos, giving us a view into his mind. Held me all the way through. A big first! Would you consider the audio edition of Devil in a Black Suit to be better than the print version? No, but it was just as good which amazed me. I loved seeing a different side of Ramos, a favorite character. Shelby had to hide inside the bar cabinet so she could use her mind reading powers during a meeting between Ramos and a gun dealer. It provided opportunity to observe Shelby and Ramos interact, to observer Ramos at this most "Ramos" character, and it provided an opportunity for humor as well as the overriding sense of danger. Ramos, a man to die for! Devil in a Black Suit is the first audio that I have wanted to hear all the way through since I was a kid. This book caught me and I didn't want to do anything else until Ramos was safe and got his answers. The narrator, Will Damron,,presented all the correct emotional energy into the reading so it was almost like watching Ramos feel each significant moment in his discovery concerning his family.. I enjoyed the books but this takes you a step closer to the participants - I absolutely loved it. Another great book in the Shelby Nichols series. It's all about Ramos and I loved it! Great narrator too. I had already read the book and really enjoyed it. 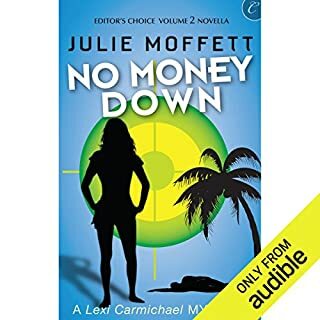 I wasn't too sure how it would come across on audible but was pleasantly surprised. It was great to put a voice to Ramos and I'm not always too keen on men doing ladies voices or vice versa but I will say I prefer a man doing ladies voices in this instance. A thoroughly enjoyable was to listen to Ramos story. 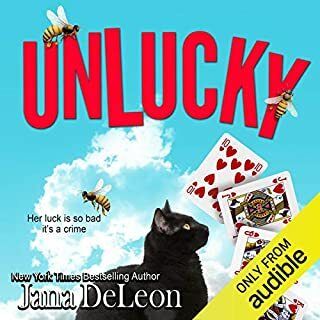 Working with Sloan Ramos manages to find out about his past and get himself into trouble and this time its not because of Shelby. I did speed up the voice as it was a bit robotic on the slower speed. But once adjusted the voice flowed and it was a great way to hear the story.